The head end of a southbound run is reflected in the clear water of the South Fork of the South Branch of the Potomac River. This low-slung bridge is easy to access and is located just south of the locomotive shop at Moorefield, W.Va. Many short line start-up stories follow the same pattern: with all of the customers either dried up or driven off, a large Class I carrier no longer wants to operate a marginally profitable branch line. A buyer is then sought to operate the line and resuscitate the traffic on a shoestring budget. 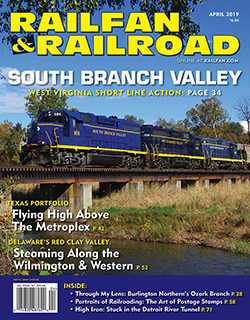 But the story of the South Branch Valley Railroad (SBVR), located in West Virginia’s eastern panhandle, has a minor variation. This 52-mile line is owned and operated by the State of West Virginia, the first state in the nation to do so. 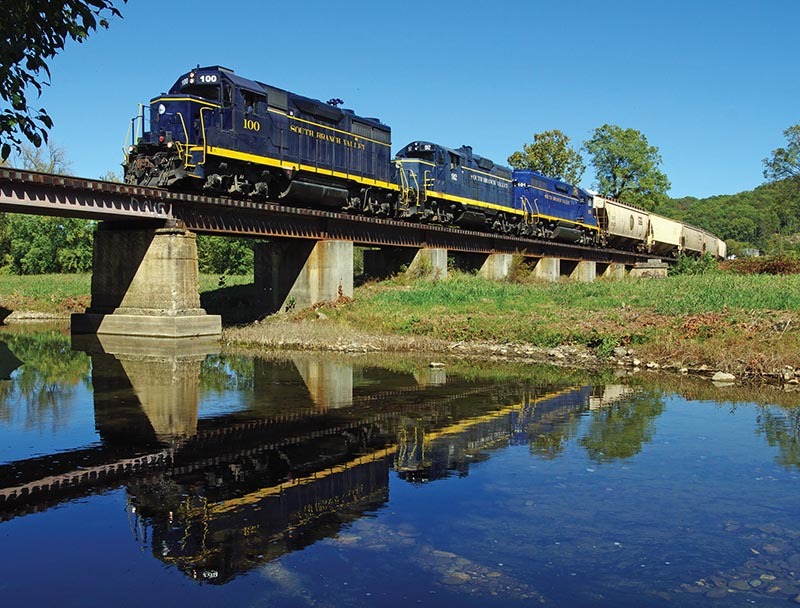 The history of the line can be traced back to the founding of the West Virginia Railroad Company in 1875. 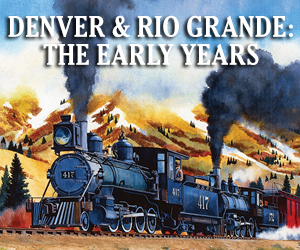 Established to construct a railroad across the panhandle, the company folded before construction began. Local interests formed the South Branch Railroad Company and opened a line from Romney in 1884, connecting at Green Spring with the Baltimore & Ohio main line. Hampshire Southern Railroad was formed in 1909 and opened a line from Romney through to Moorefield in 1910. Acquired by Moorefield & Virginia Railroad in 1911, the route was completed to Petersburg. Ownership of the branch was then transferred to B&O. With twice as many locomotives as cars, the crew heads north with GP9 6240 tagging along on the rear. The head end is about to start under the U.S. 48 overpass at Moorefield. The power will be mainly needed for the return trip as 50 cars of grain wait at the CSX interchange at Green Spring. Through the 1970s, B&O, then a component of Chessie System, operated the line but was wishing to end operations due to low traffic. Enter the West Virginia State Rail Authority, which in October 1978 purchased the line to preserve rail service to the industrial customers that relied on it. Just seven years into the state’s ownership, in November 1985, the Mid-Atlantic region was struck with devastating flooding that tore apart much of the route, closing it for nearly two years. More than 30 miles of track were destroyed, including five bridges. It was feared this disaster would permanently shut down the line. However, the state elected to rebuild the route, with the reconstruction efforts completed in 1989. A few miles south of the narrow confines of “The Trough,” the valley widens considerably and passes through fertile farmlands to Moorefield. 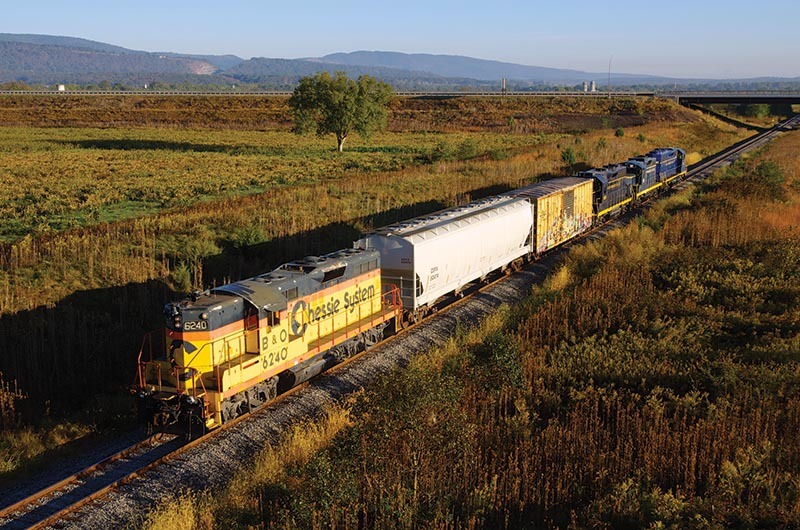 GP38-3 101 leads a southbound on October 30, 2018. The SBVR generally parallels the South Branch of the Potomac River, from which the railroad takes it name. 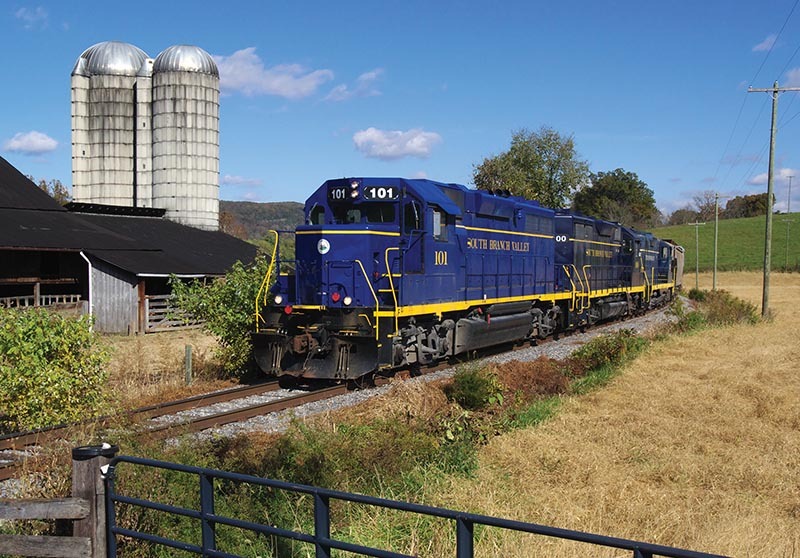 Beginning at a connection with CSX at Green Spring, the line travels through the towns of Romney and Moorefield en route to the end of the line at Petersburg. Primary commodities hauled are grain, lumber, plastics, and aggregates. 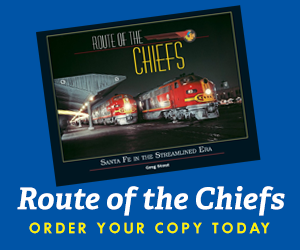 Read the rest of this article in the April 2019 issue of Railfan & Railroad!